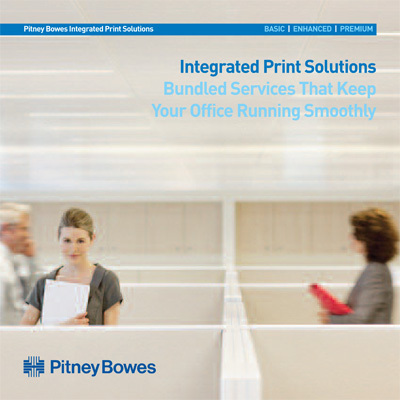 Pitney Bowes’ Integrated Print Solutions (IPS) division needed marketing materials to introduce their new three-tiered printing supplies and equipment servicing program. We used colorful blocks of text in an “equation” format to explain the features and benefits of each IPS solution in a way that customers could clearly understand. We also wrote the copy for the IPS minisite, Flash video script, and Sell Sheets.